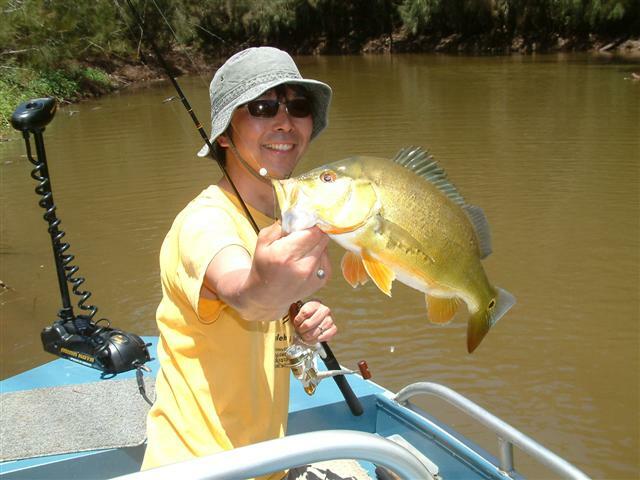 Kazuhiro Takahashi, from Hokaido, Japan, caught this nice size peacock bass on a 4# test ultra-light spinning rod. 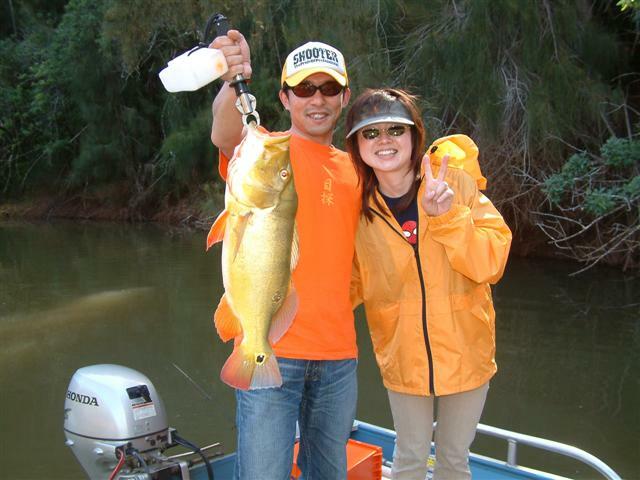 Abe & Tamiko Takamitsu from Kobe, Japan with a nice 5 pound peacock bass. 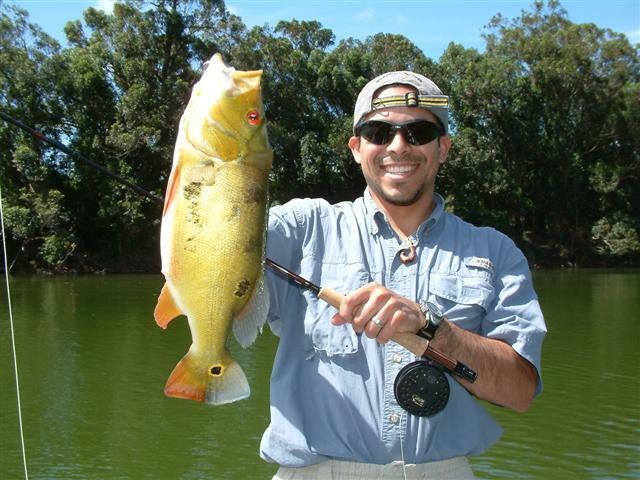 Abe with a 4 pound Hawaii peacock bass. 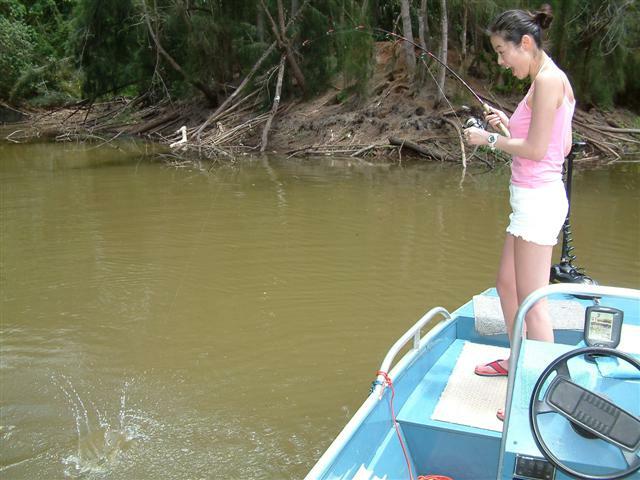 Spawning season is on. 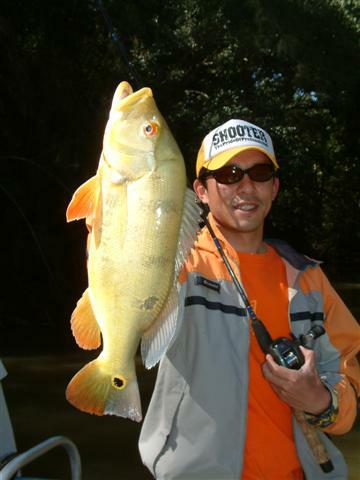 Head shot of a 3 1/2 pound peacock bass. 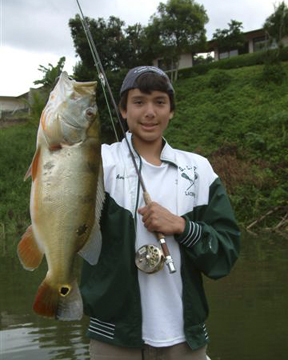 Chris and his Japanese lure. Justin's first Tuke. 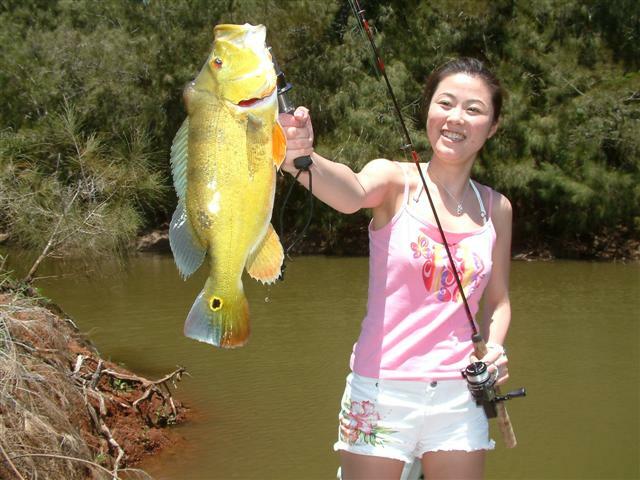 Justin Ching & Chris Wright with the first fish of the day. Nice picture Dad. 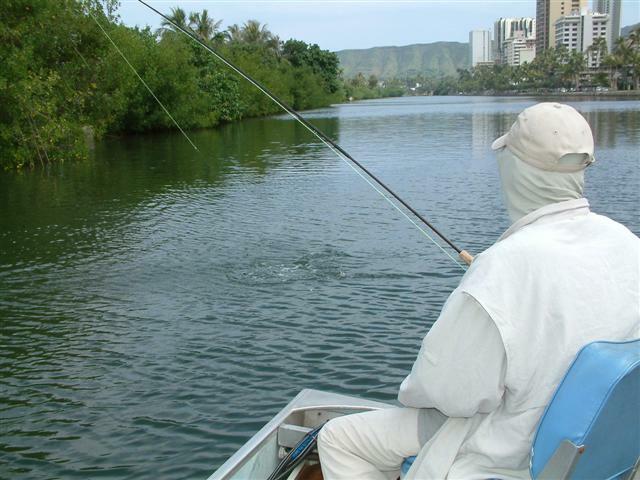 Ken Moser tried bonefish and peacock bass fishing while on vacation in Hawaii. 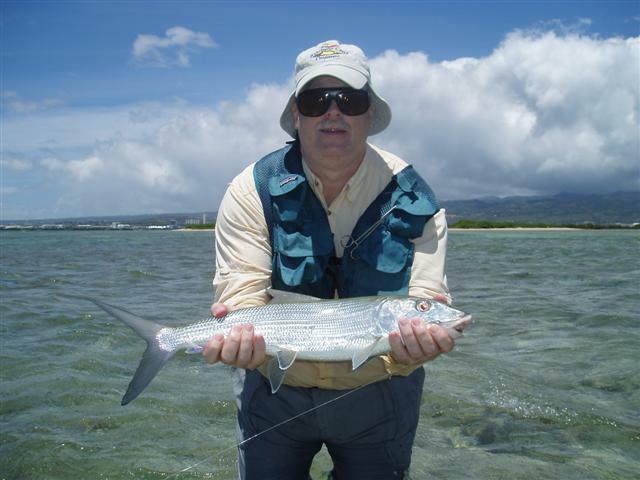 Ken, send us a bonefish picture. Nice Oio, Ken! 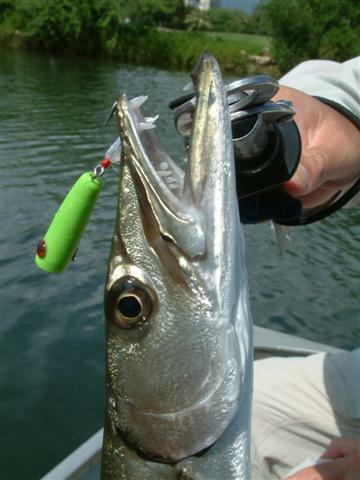 Good vacation, saltwater bonefish and freshwater peacock bass... all on a fly. Clays first carp on a fly... 5 1/2 pounds. When rain and muddy water at Lake Wilson made peacock bass fishing very tough, Clay & I headed to Waikiki for some barracuda action. There is nothing like a surfice strike!. 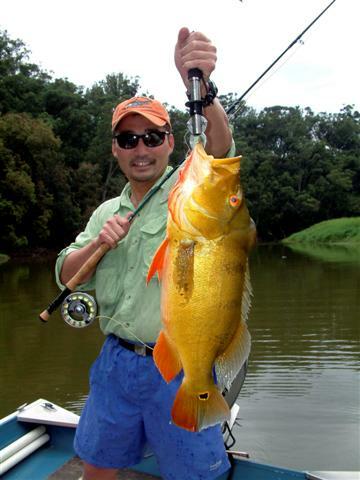 Randal Sakai with his largest peacock bass to date... 7 pounds. Donald Anderson with his first Tuke. 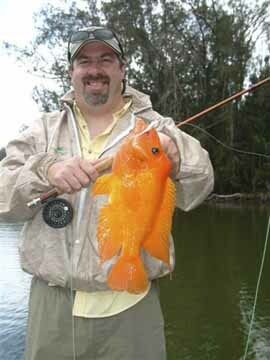 Eric Edling with a very nice Red Devil.... not like those big Muskie from MN, but still fun to catch. 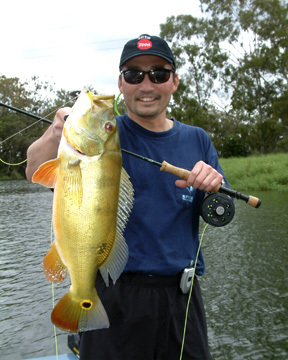 Hideo Yoneyama, fish were hard to spot in the murkey water. Jerry Huerta visiting from Texas. 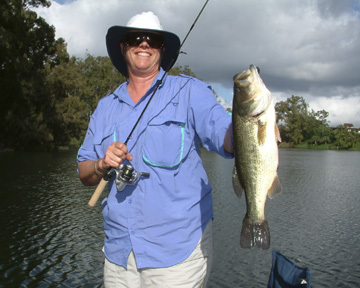 Robert Thompson with a nice one. 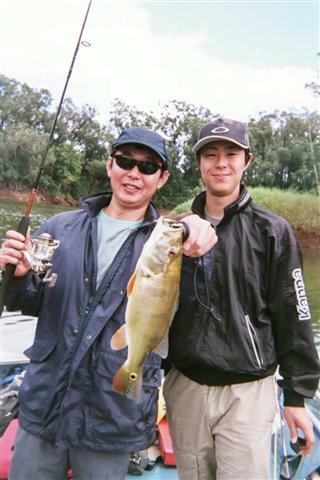 Mr. Takada and his son. 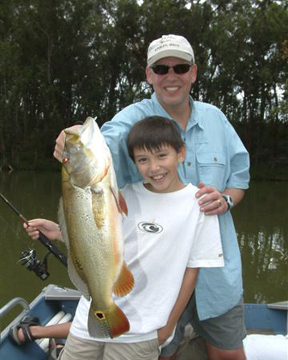 He let Dad catch the big one. Takaomi & Reiko were in Hawaii to attend a wedding. "Are we having fun yet, or what?" 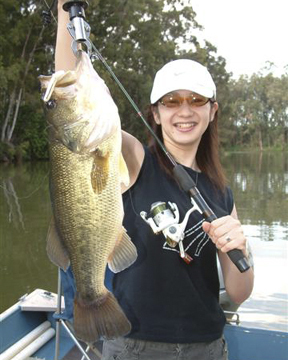 Reiko with the big fish of the day. 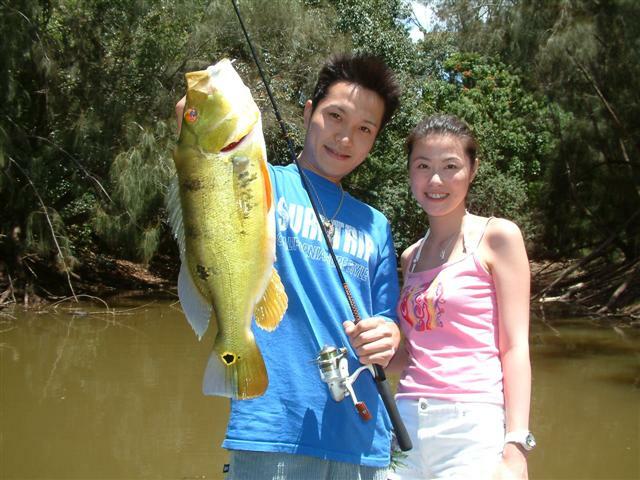 He let her catch the biggest fish, what a gentleman. 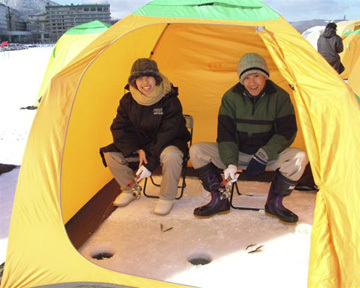 Nobuhiro Nakano, from Tokyo, was able to take a break from "English Language" class to do a little fishing. This is his largest Tuc, 4 1/2 pounds. 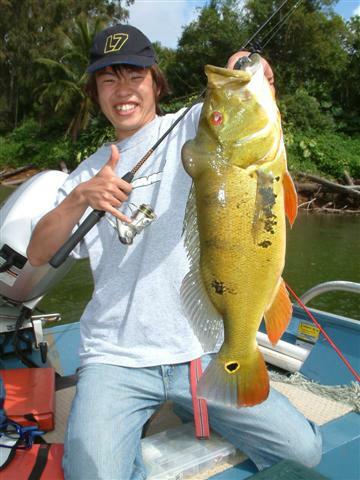 Back in Hawaii, fishing with Satoshi Takamiya from Osaka. 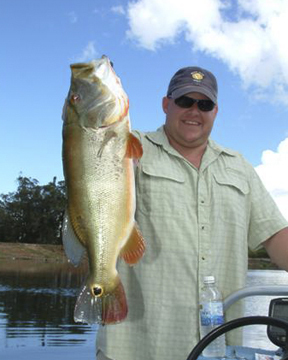 One of several nice bass he caught. 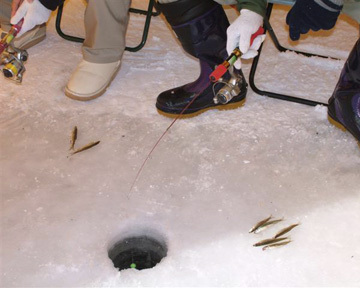 Ice fishing in Hokkido, Japan. $15 for all day. Everything provided. It's a cool -17c, don't need an ice chest. Smelt... you eat them pickled or deep fried in batter. Oishi! 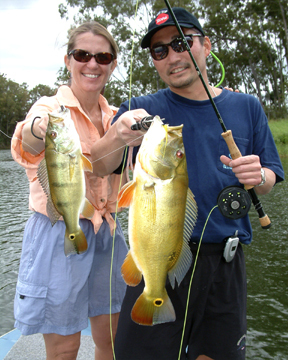 There is nothing like catching a fish on a fly you tied yourself, just ask Randall Sakai. 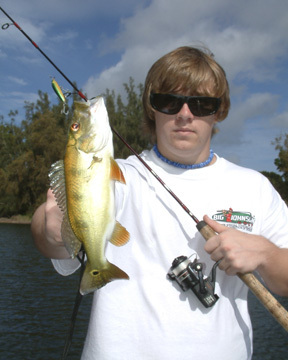 Framption, remember the name, this young HS Senior from MN will show up in the Professional Bass tour one of these days. 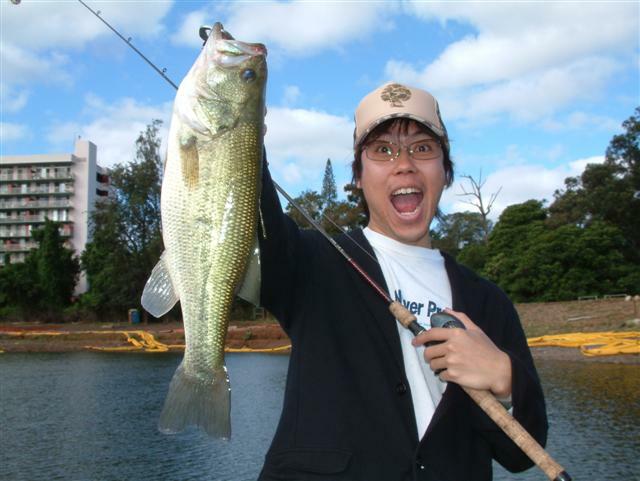 Ake ran the Honolulu Marathon and still had the energy to land this 4 1/4 pound bass. 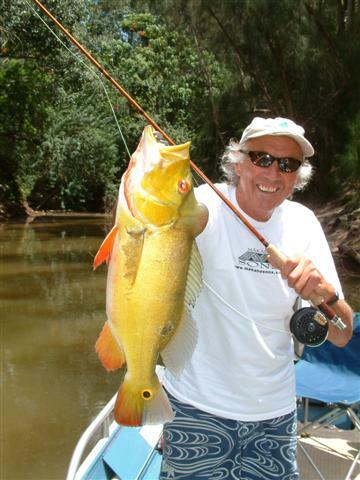 Fly fisherman Scott Wood with his first Peacock Bass. Conner and Craig with a 4# Tuke. 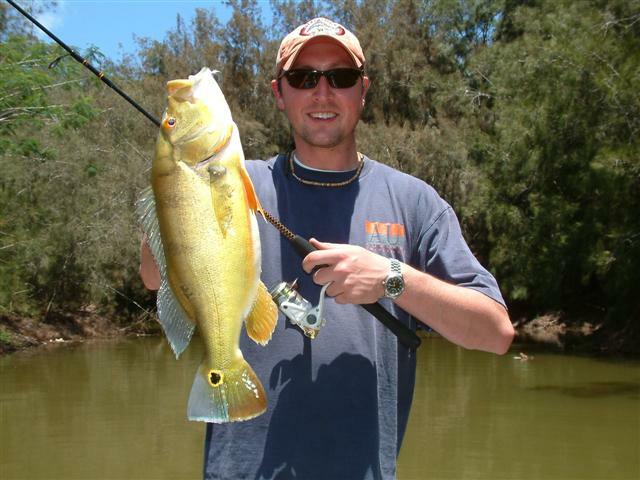 Logan landed this nice peacock bass. 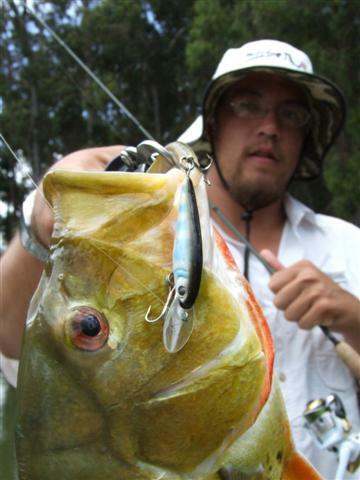 Guide, Chris Wright with a "Piranha"??? 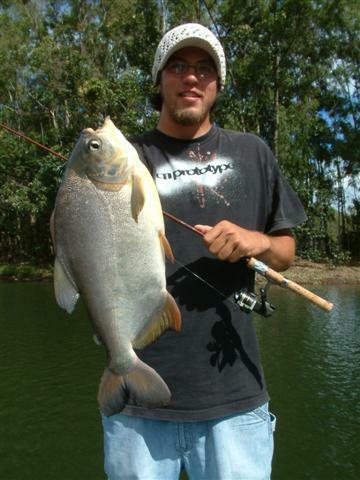 No it's a Pacu. Probably dumped into the lake from someones unwanted aquarium. 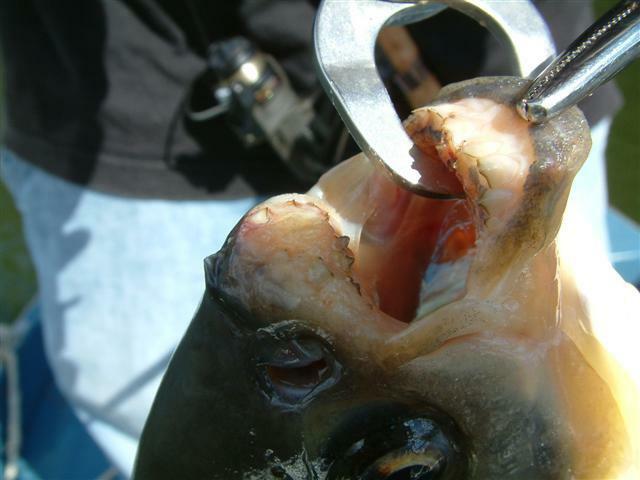 Rumors of Piranha in the lake are common, but not one has ever been caught. They are illegal in Hawaii. The paku feeds on fruit and nuts... Look at those teeth.